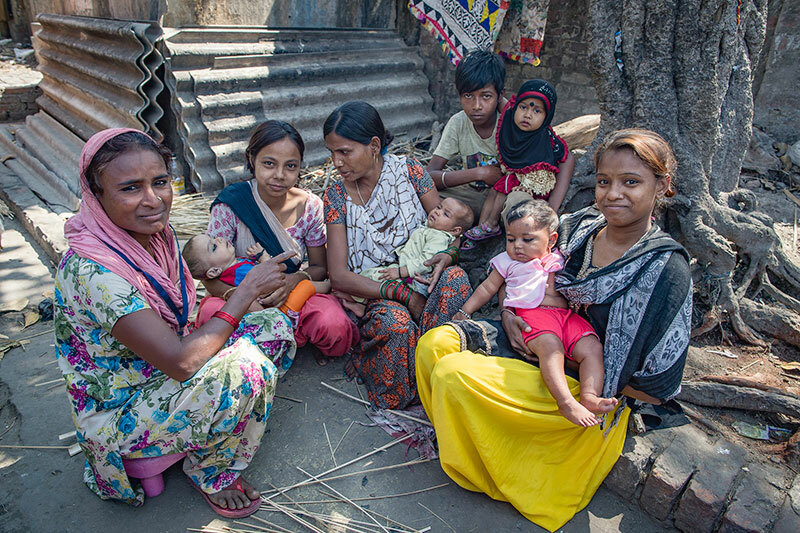 HOPE’s Community Health Care Programme operated between 2007 and 2018 in 35 slum areas of Kolkata to provide healthcare treatment and access to below poverty line individuals and communities. The initial reason for intervention was as a result of findings which highlighted the fact that there was no healthcare being provided in the 35 slums of Kolkata and Howrah districts where HOPE had projects. 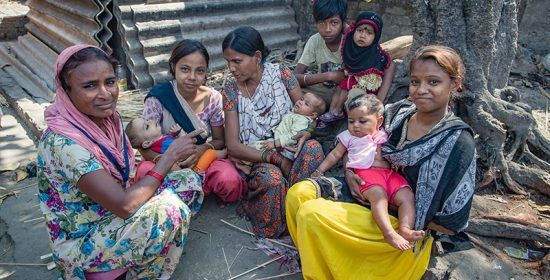 These slums were a risky and unhealthy environment for children to live in, there was a lack of availability of Government health services, severe malnourishment of children and no ante-natal or post-natal services for pregnant and lactating women. 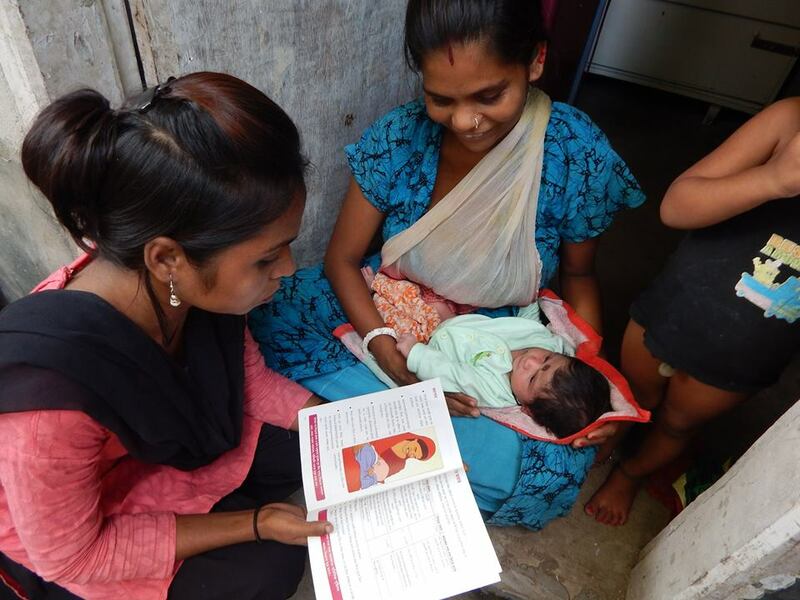 The project focused on four strands (Awareness, Action, Access and Advocacy) where a needs based and rights based approach was used to improve the health status of the slum dwellers. The project focused on Sustainable Development Goals; 3, 5 and 6. During and after the 1st Phase – Stage of Initiation, which was implemented between 2007-2011, it was evident that communities’ health needs had not been met due to poor knowledge on available health services and limited access to these services. Low levels of health awareness were the primary issue which led to poor hygiene standards and malnourishment, affecting people’s ability to fight off sickness, poor drug compliance and low levels of immunisation were exacerbating the prevalence of communicable diseases. Above all, lack of knowledge of reproductive and sexual health was leading to a steady increase in sexually transmitted diseases (STD’s) which was affecting mothers and children with low Ante-Natal Care and Post-Natal Care. This gave rise to a high number of home deliveries. The Hope Foundation’s role was to constantly learn from the community and monitor results so that impact could be geared towards a sustainable change in the lives of the slum dwellers and thereby address their problems. Using what was learned during Phase I, between 2011-2015 Phase II – the Consolidation and Sustainability Stage, was designed and restructured to include components such as generating awareness in the communities on environmental, social and health issues. A focused intervention was given on increasing knowledge of existing Government welfare programmes, empowering communities to take action to improve their living conditions and facilitating access to government schemes and services in the 35 slums of Kolkata and Howrah districts. During this Phase, HOPE collaborated on the implementation of a new programme in the slums where we work with Addressing the Unaddressed. 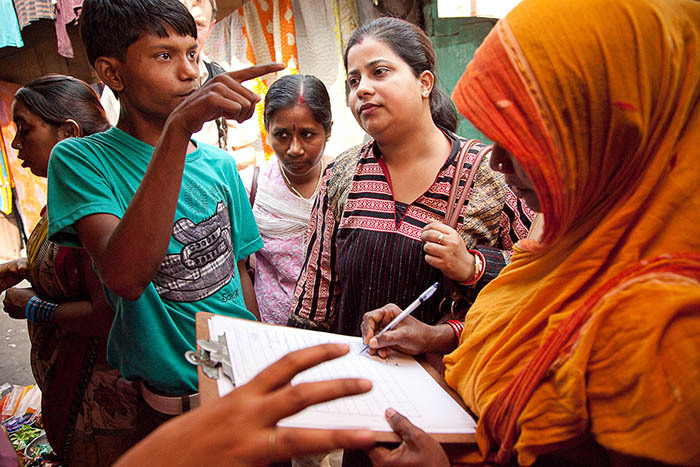 In 2012, the project began testing in a small slum of Kolkata in collaboration with HOPE’s Community Healthcare Programme to provide a unique identification code to each slum dwelling to act as a registered address. This ongoing work resulted in nearly 16,000 dwellings in 9 urban slum areas in Kolkata receiving a registered code. The project works with beneficiaries residing in Kolkata’s slums and has created a comprehensive and accurate database of all the slums we are presently working in. The database is populated with various issues related to health, education, social security and other relevant entitlements for each individual household in these slums. The collected data helps to generate a pool of information on health related facts especially on mother and child health, Antenatal and Postnatal care services accessed by the pregnant and lactating women, complete immunisation of children, addiction, awareness level on infectious diseases, reproductive health, tuberculosis and child marriage. This information eventually helps The Hope Foundation to develop relevant intervention programmes and also network with government departments to ensure access to the social schemes and entitlements by the communities. This will help in bringing a lasting change and ensuring the basic rights of every person living in the slum communities. The 3rd phase of the project, implemented between 2015-2018, aimed to make the 35 slums self-reliant and slowly phase out HOPE’s direct intervention and hand over the responsibility and operation of the project to the communities. In this phase, Community Health and Environment Volunteers were trained by HOPE to take their own initiatives in addressing the existing issues. They were trained to continue to follow and implement the core task of awareness raising, action taking, access creating and advocacy. Feedback from Irish Aid was also taken into account during the entire phase and the project was successfully brought to a closure with a Final Evaluation. In total, 833,782 people were reached and impacted through this programme alone in the 35 slums of Kolkata and Howrah districts of West Bengal. Currently, 473 Community Health & Environment Volunteers are trained, empowered and active in communities to act as Community Mobilisers in the Government Primary Heath Care Centres. These Volunteers are providing the required support in the 35 slums in Kolkata and Howrah Districts after the programme has come to an end.